You are browsing the Blog for volunteering. Hello and welcome to another summertime newsletter. Are you sitting comfortably? Good. Lots to get through this week again! First and foremost, next week is Glasgow Pride! Once again GU Amnesty intend to go along and join in the march and we may have a small social gathering thereafter. Hope to see everyone, including our friends from Glasgow West and possibly even Ayr there! There are a number of interesting things coming up as well as a whole host of pretty dandy volunteer opportunities. Interested? I am, so read on! Saturday 19th July: Pride Glasgow! It’s that time of year again. Get out your best marching boots and come along and join us for a day of celebration of identity. If you haven’t been before I would strongly urge you to come along. All are welcome, the atmosphere is very friendly. I wasn’t able to make the event last year, but I went to the one before that and it was definitely a highlight of my summer. We’re going to march in the parade. This year it starts from Clyde Place (see map), and initially over the George V bridge. The assembly time is 9:30 AM, and the destination is the King Street Car Park at 11:30. Our plan is to meet up outside Bridge Street Subway at 9:15. Please get in touch via FB, Twitter or the website if you’re running late! Some folks have expressed an interest in joining us afterwards; thats fab too- we’ll probably head to a park or cafe or similar depending on the weather once the march has wound up. You can either meet us at King St Car Park, where we’l be until 12 at least, or get in touch as above and meet us at the social. Photos from two years back. 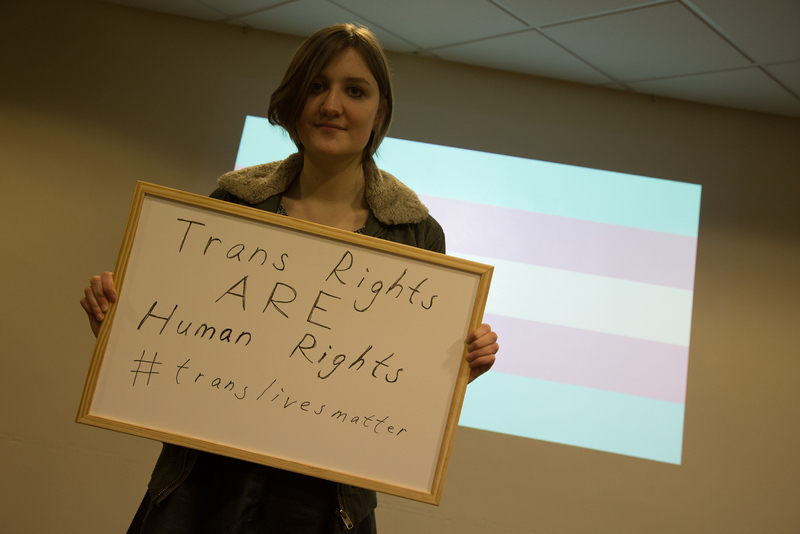 For those who can’t join us on the day, you could tweet your support (@guamnesty using the hashtag #glasgowpride. Include us in the tweets so we can retweet you! Please note that the closing date for the Commonwealth Ambassadors and Edinburgh Festival Ambassadors is this Monday (14th July), so get your skates on if you want to take part! These close next Monday (21st July). can also find the volunteer application form. It’s worth keeping an eye on PB’s website (http://philanthrobeats.org.uk/) for their upcoming events. It’s quick and straight forward, and will guide new student materials for the coming year. your plans in the autumn! I’ve done the survey and it really is ‘quick and straightforward’; it took me only a minute or two. 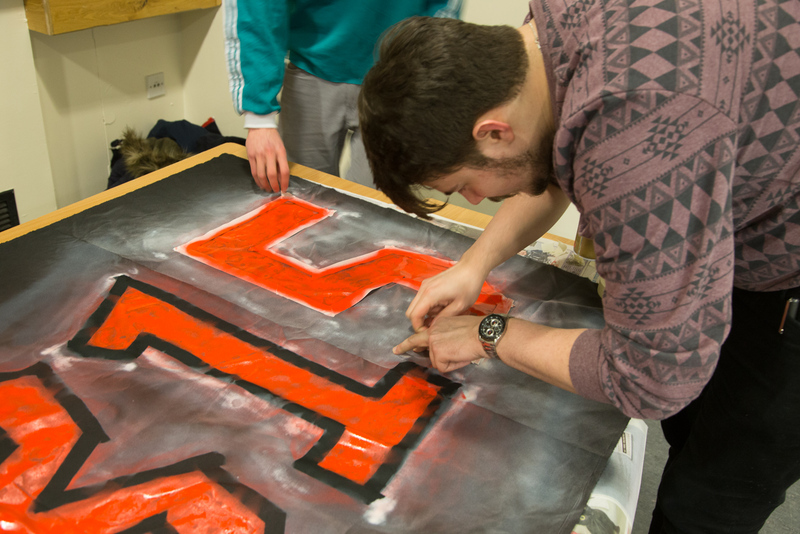 Feedback is really important in general – we’ll be looking for your feedback throughout the year so be ready for that! – and it’s worth your time to make sure your experiences are represented. members of civil society organisations and policymakers who address human rights issues. They put on rather quite interesting events and conferences which are worth attending if you realy want to get into the nitty-gritty of human rights issues in depth. before the opening of the Glasgow 2014 Commonwealth Games. For full details and to register, please visit the Conference website. It looks to be a very interesting conference, and definitely worth a look; particularly given the focus we gave to LGBT issues last year. It’s still a little over two months away, but we’ll be having a stall as usual during Freshers Week 2014. Not only that, but we’re planning on at least one event in collaboration with our good friends in STAR which I am really excited about. Details will come a bit closer to the time, but it promises to be really informative. The reason I’m giving this advance heads-up as we’ll be looking for helpers- it reflects positively on the society if we’re got a well-run stall. The huge attendence after Fresher’s Week last year proves that if nothing else! Towards the end of last term we did some letter writing under the banner of ‘Scotland Stands for Human Rights’. And we got a reply! 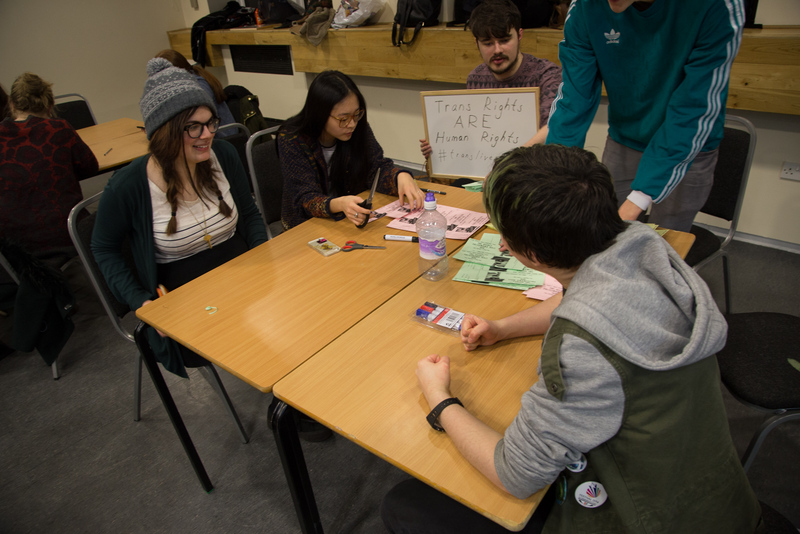 It’s great to get a reply and when we do we want to make sure everyone is aware that we do- letter writing is one of the vital things we do as a group, and that Amnesty International does in general, so when we get feedback on it we’re sure to make the most of it. There will be plenty more letter-writing opportunities in the year to come! Well done for making to the end of the newsletter. If you have any questions, suggestions or feedback you can always get in touch either via the website or on Facebook or Twitter. 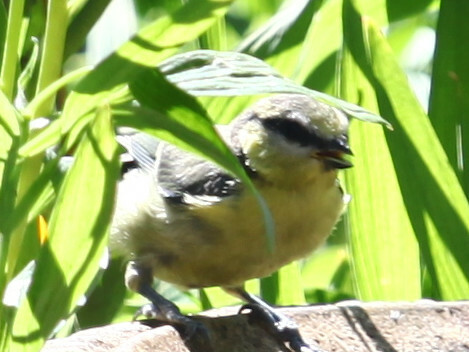 This week’s ‘thanks for reading’ reward is a picture of a cute bird I snapped having a drink in my back garden. I figured having featured VladPut last time y’all deserved something a bit, well… nicer. Hope to see you next week at Pride! 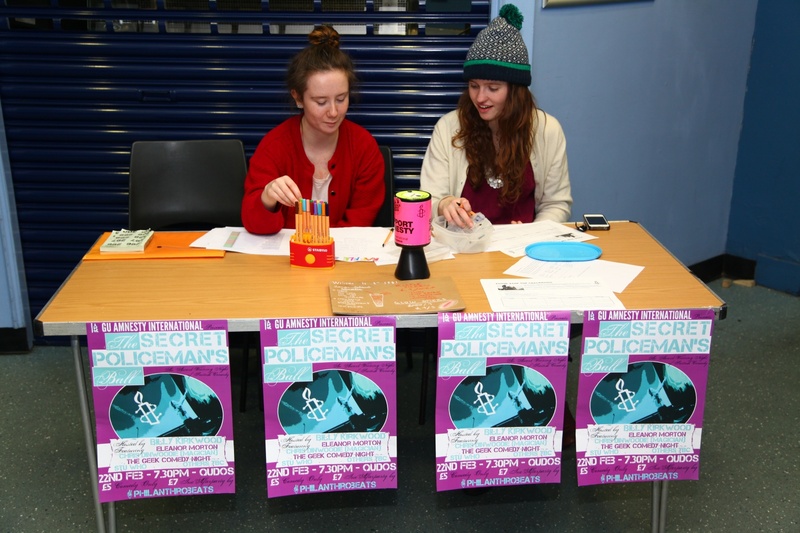 June 2014: Amnestea in the Park, Stop Torture Campaign Launch, Refugee Week and more! I hope you’ve been enjoying the sunshine. If you are still in Glasgow, we have our final event of the year – Amnestea in the Park! 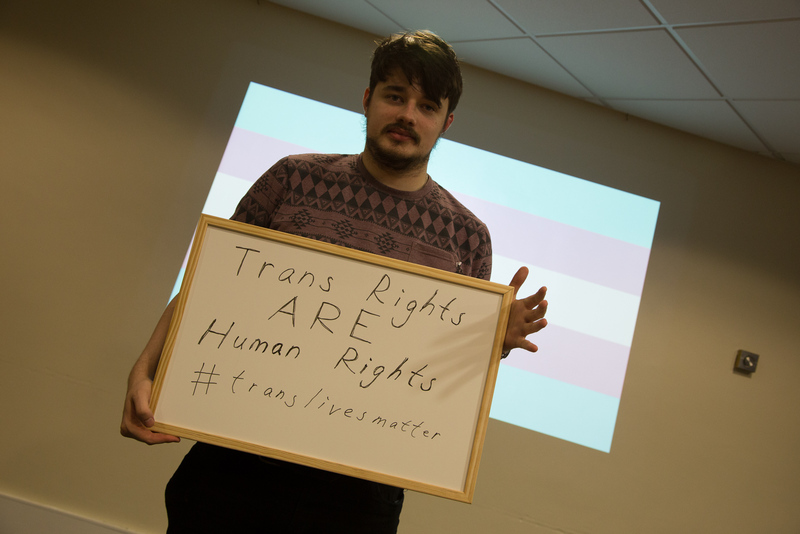 – as well as an exciting campaign launch which we are co-hosting with Amnesty Scotland (see below). To those of you who have already left Glasgow for good, I wish you all the best. It’s been a fantastic year and a pleasure getting to know you all throughout. 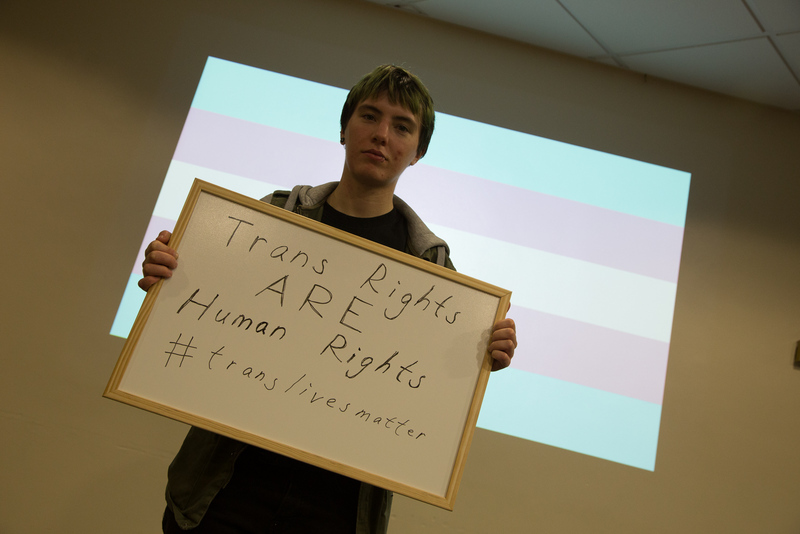 At the end of the year, we are sending £1,700 to Amnesty International UK, which is an amazing amount of money, well done everyone! 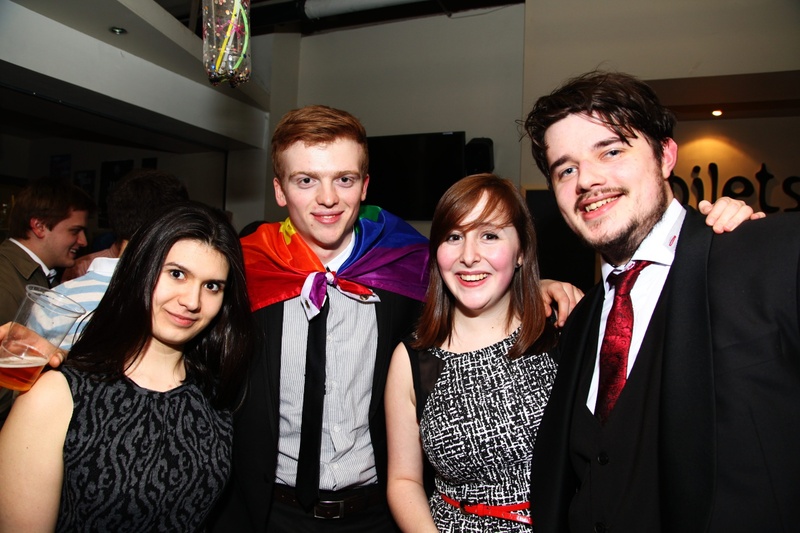 This will be added to our Raise-Off total, which you can see here (along with a photo from our SPB two years ago!). 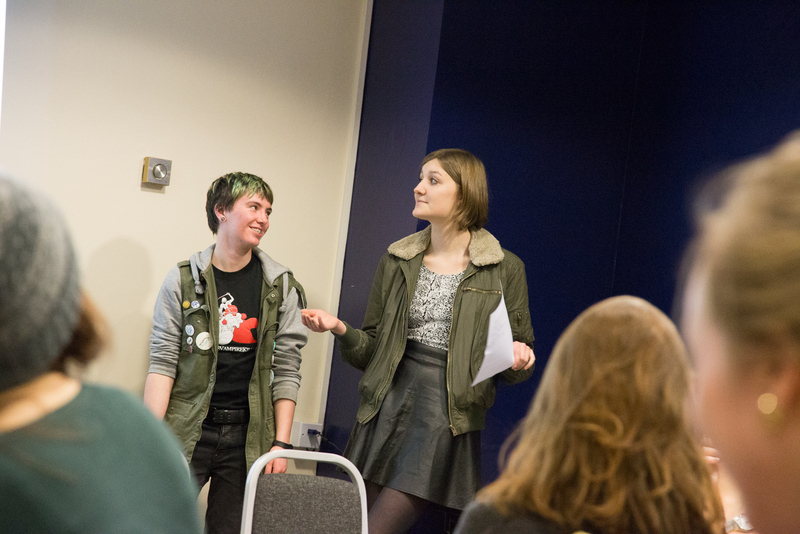 We have had our official handover meeting, so this is the last newsletter from me. If there is any more exciting news over the summer, Rob will keep you posted! The event is up! We are going ahead on the 5th despite the variable weather. We have a backup plan in case it rains! Please check the event page on the day, if there is a change of plans we will post and include some phone numbers so you can call/text and be sure of what is happening. 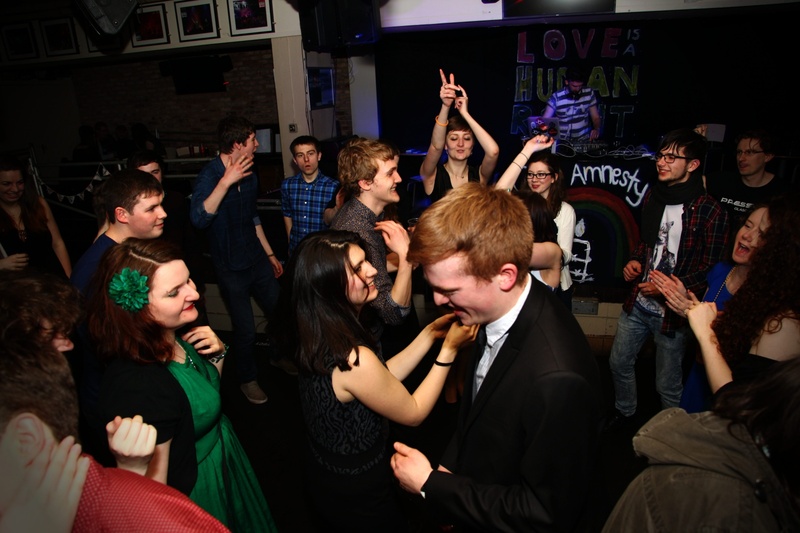 Amnestea is a yearly end-of-term social event which is very informal and relaxed. Feel free to turn up when you are free during the day! 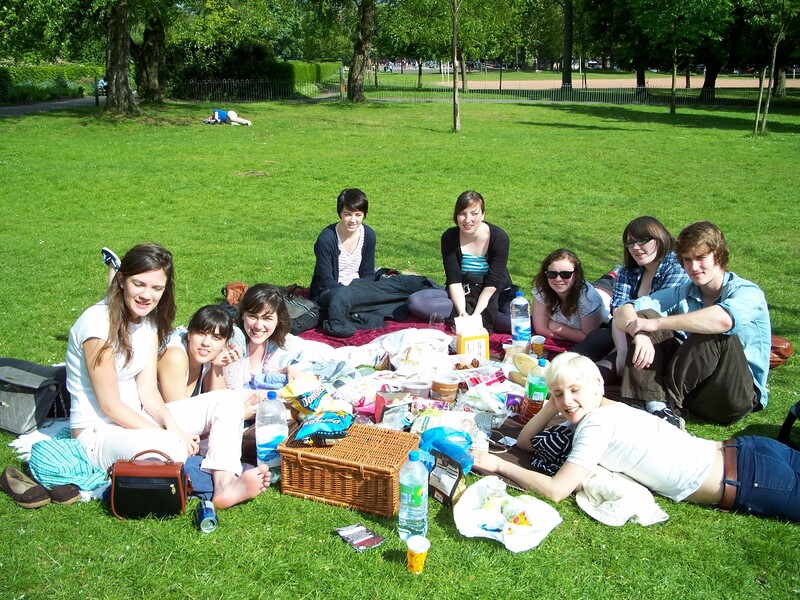 Even if you are brand new to us, it is a great way to get to know the people in the group and relax for an afternoon. It´s about cakes, it´s about tea, it´s about music, it´s about bunting, it´s about people, and it´s about chilling out. Sun permitting, we will set up in Kelvingrove Park and stay for the afternoon. Hope to see you there! 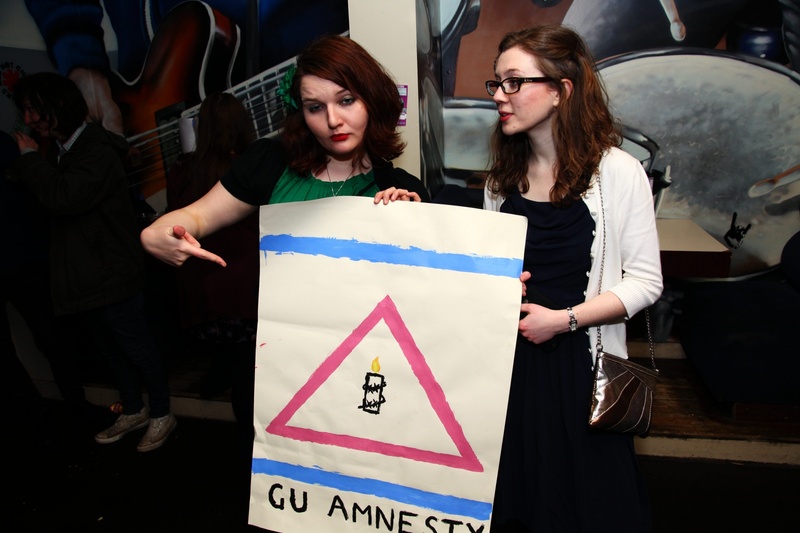 GU Amnesty has been helping Amnesty Scotland to organise the launch of the global Stop Torture campaign in Glasgow. We will hear from various guest speakers including the Secretary of State for Scotland, Alistair Carmichael. 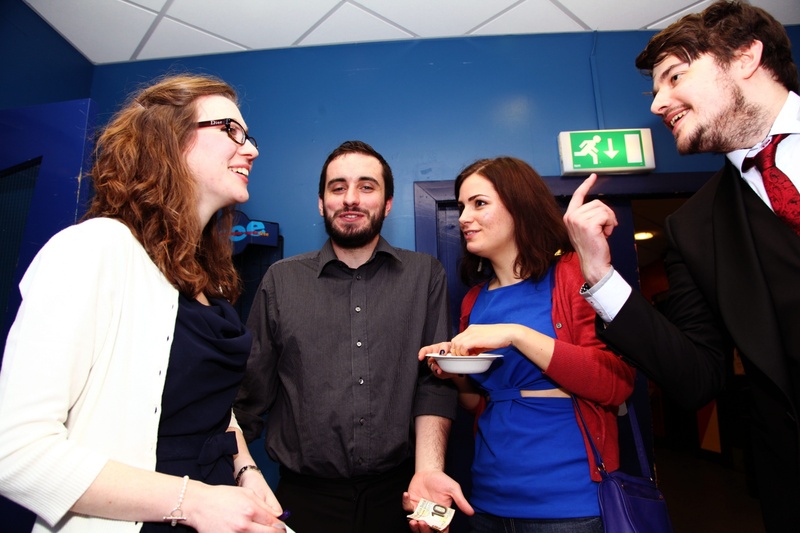 Following the presentations, there will be drinks and nibbles with the opportunity to network. More details will be added to the event page as soon as they become available. 25th June 2014: CFCI Petition Finally Goes to Court! Our Conflict-Free Campus Initiative petition is being raised by David Newall (Secretary of Court) at the next meeting of the University Court. SRC President, Jess McGrellis, will speak in support and the recommendation by the Secretary of Court will be to establish a working group to meet with representatives from GU Amnesty. This would allow for a report to be produced, outlining actions that should be taken by the University. This is very exciting news, and we have high hopes that this motion will be granted. For those of you who missed our film screening in March, I strongly encourage you to go along and invite your friends. This eye-opening film exposes the brutal treatment of Falun Gong Practitioners by the Chinese Communist Party. June is Glasgow Westend Festival month. Hillhead library offered us a slot for Falun Gong Introduction to public. We will show visiters Free China: The Courage to Believe. The workshop is free to public on 7th June, Saturday from 2:00 to 4:45pm. Part 1: Screening of the award-winning documentary “Free China: The Courage to Believe”, stories of two Falun Gong practitioners who stood up for their peaceful belief. For taking their stance, they were imprisoned and tortured. The documentary sheds light on how Falun Gong practitioners hold on to the universal principles of Truthfulness, Compassion and Tolenrance. Part 2: Falun Gong exercises demonstration – everyone welcome to join. Interested in volunteering with STOP THE TRAFFIK at the Commonwealth Games? We are delighted to be helping to bring the UN GIFT Boxes to Glasgow during the Commonwealth Games this summer. The Boxes are a wonderful means of raising awareness of human trafficking and equipping communities to spot the signs of this abuse. You can read more about the Boxes at ungiftbox.org. We are looking for volunteers to help out with the Boxes. You don’t need to be an expert to volunteer but you do need to come along to our training session. We will be running through everything you’ll need to know at Cafe Phoenix on Woodlands Road in Glasgow on 11 June. Come along at 5.30pm and you’ll get a wee cup of tea or a coffee. Contact stopthetraffikglasgow@hotmail.co.uk if you have any questions. Don’t miss out on the many exciting events taking place this year! Visit the website to see what’s happening in Glasgow featuring events run by our friends at Philanthrobeats and STAR Glasgow. 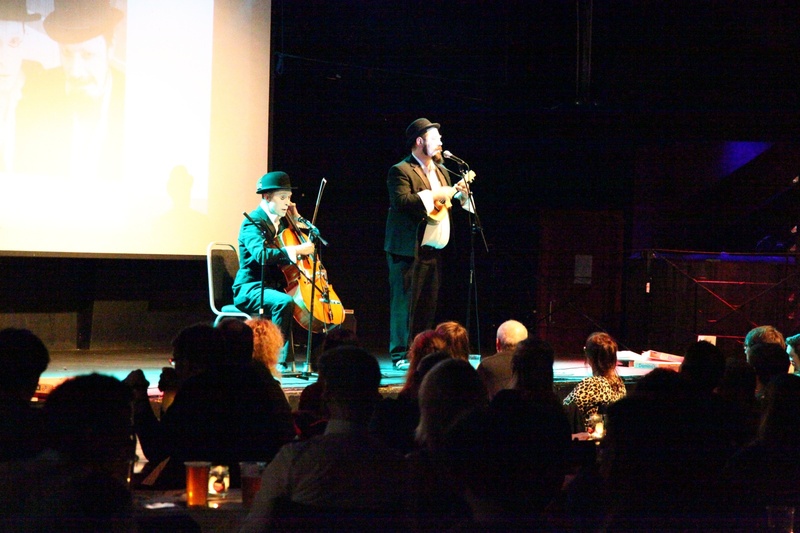 World Refugee Day Concert: 20th June 2014. The line-up is Young Fathers, Balkanarama and Skipinnish – all representing the rich and eclectic mix of cultures in Scotland today. We’ve got 200 early bird tickets for sale now at the rate of £12 / £10. Once these go all tickets will be £15 / £12. All funds raised go to Scottish Refugee Council and British Red Cross to support our continuing work to provide support to refugees in Scotland. That’s all from me! Thank you to everyone for an incredible year of all things Amnesty. 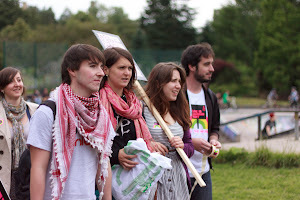 I hope you will stay involved with human rights activism next year in Glasgow or wherever you are. Good luck to Rob and the new committee, I know they will have many more new and exciting events for us to look forward to next year! In the meantime, don’t hesitate to get in touch over summer if you have any ideas for next year, or have any news/events that you want to share with us.